Bruna Zanardo, 26, 1.75m, from São Paulo, won the Miss International Brazil title on September 29th in Rio de Janeiro. The candidates from Rio de Janeiro and Distrito Federal placed 2nd and 3rd respectively. It was the first pageant produced to elect a Brazilian representative for the Japan based contest in over two decades. Bruna has competed in a small pageant in the Philippines last year. This will be her first Grand Slam experience. Thirteen candidates competed in Miss International Brazil 2017. 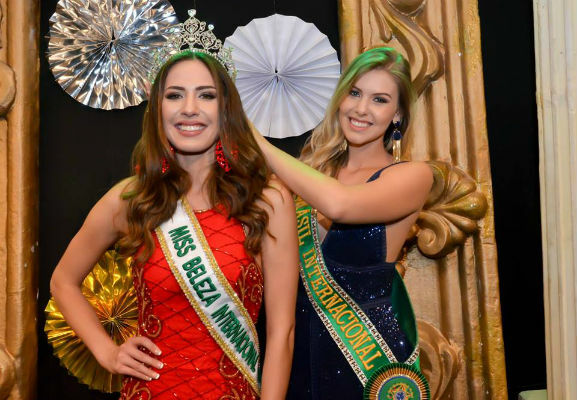 GB comment: She tried several pageants in Brazil, pacing in the Top 10 of Miss Intercontinental Brazil and failing to make it to national level in Miss Brazil Universe (she placed 2nd in Miss São Paulo Universe). Persistence is her last name, let´s see how she will fair in Japan!